Capture a moment, event or special relationship in a work of art featuring your or family, friends, or pets you love. 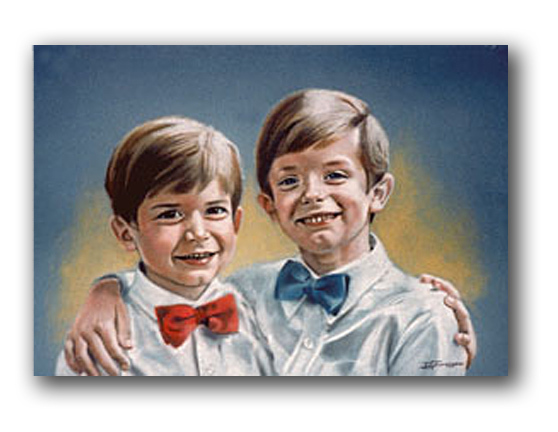 It is sure to be treasured for years to come. 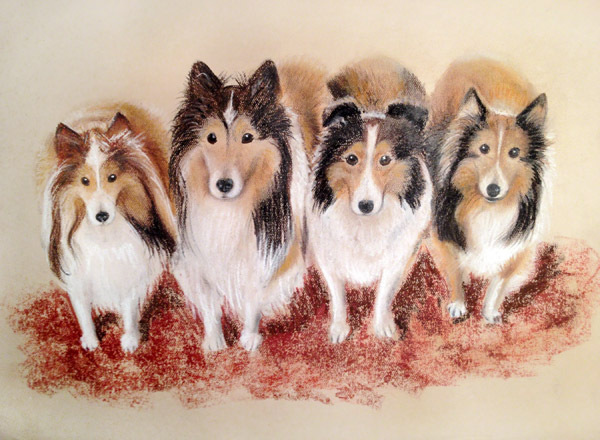 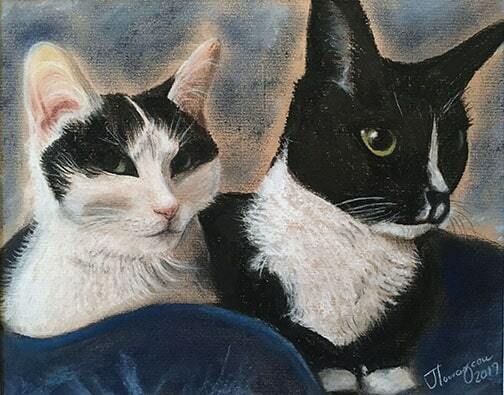 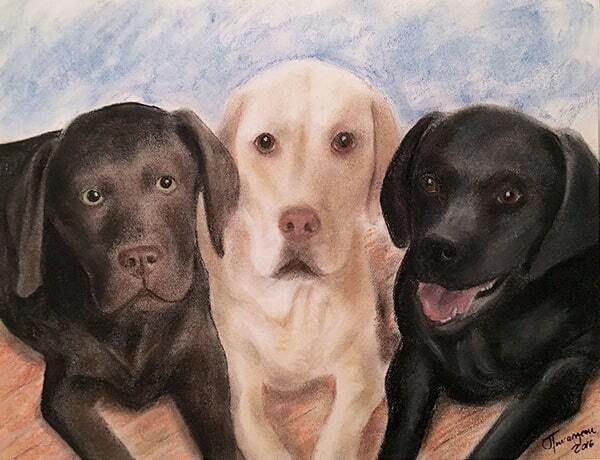 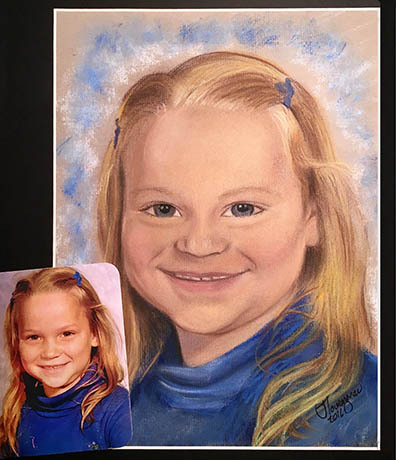 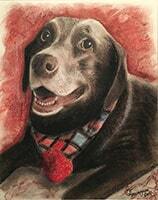 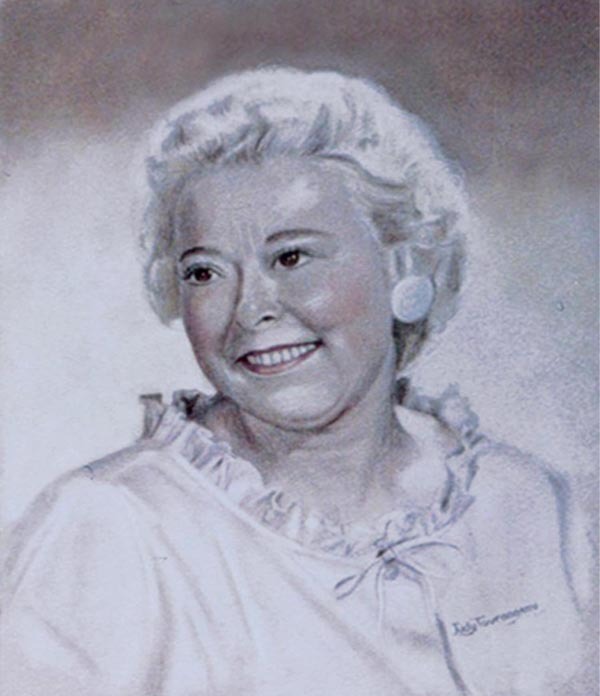 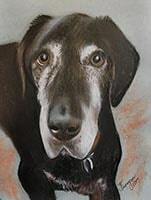 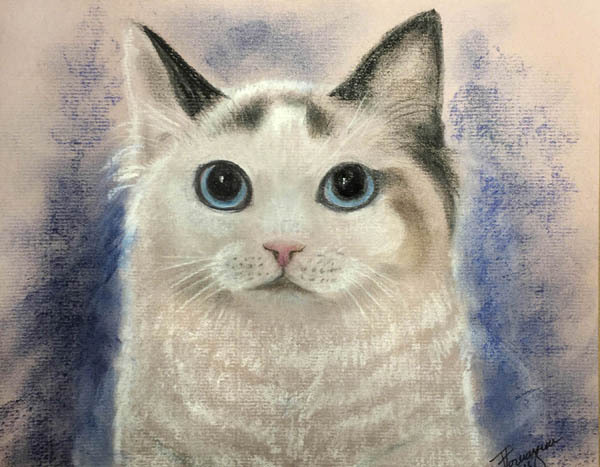 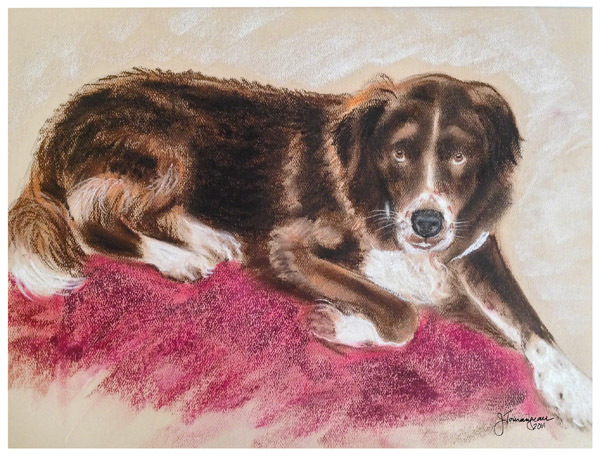 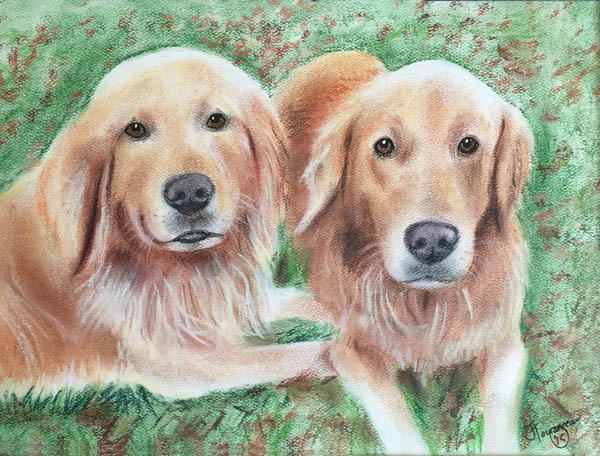 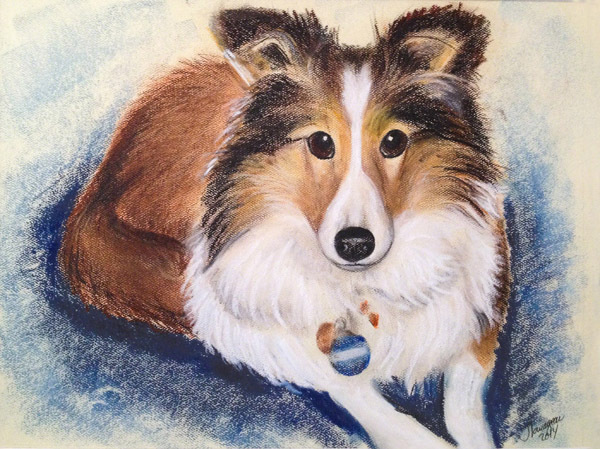 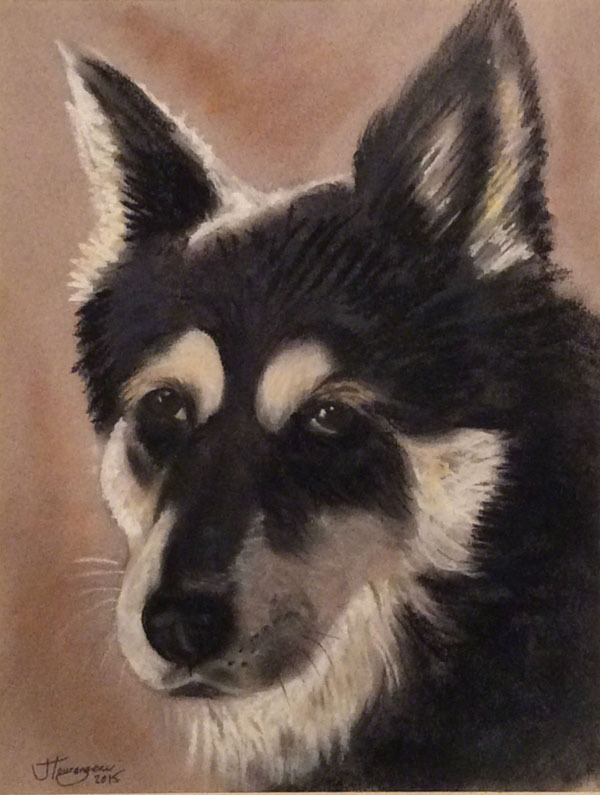 Judy works from photograph(s) most often in her favorite medium, pastel, but has also used acrylic, pencil or charcoal. 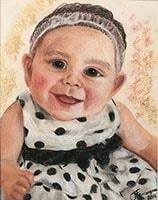 Standard sizes are (8 X 10 without mat, 9 x 12; 11 x 14; 12 x 16; 16 x 20 and 18 x 24), and prices are reasonable. 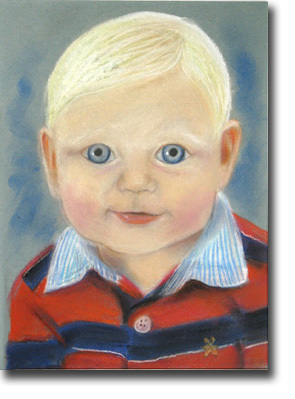 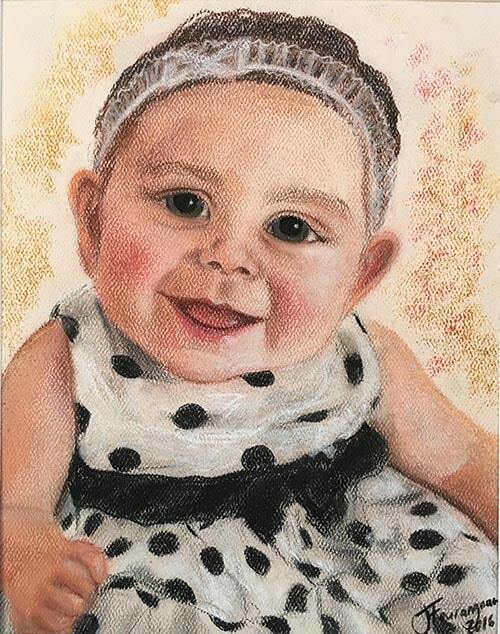 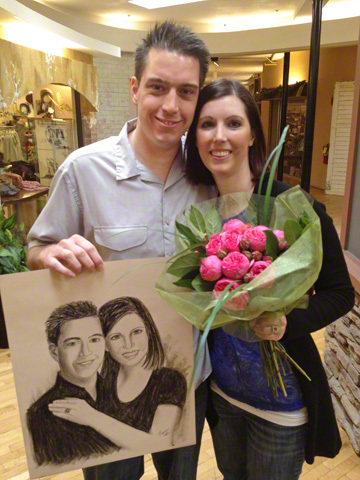 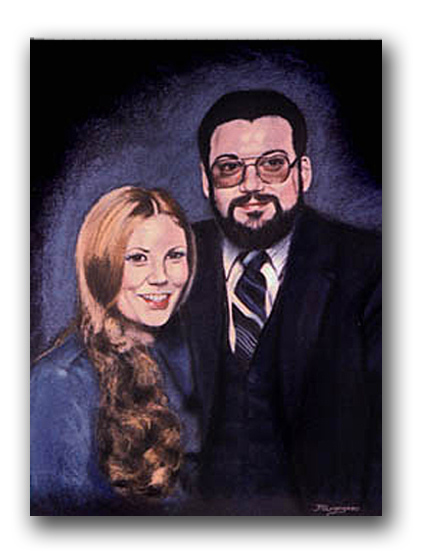 NOTE: gift products and favors can also be created from portrait art! 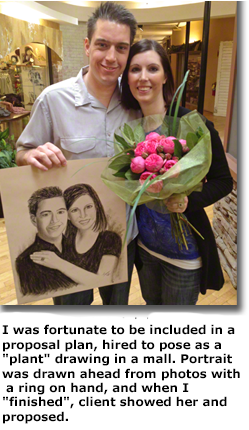 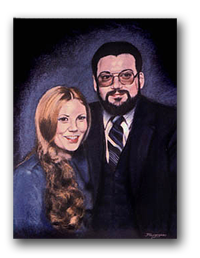 See link and imagine your portrait instead of the caricatures! 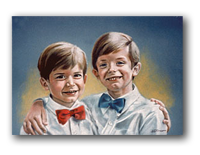 In addition to your custom frameable portrait, our design studio can also create special frame-suited memorials with verse or poetry or wallet size laminated cards (sample available upon request). 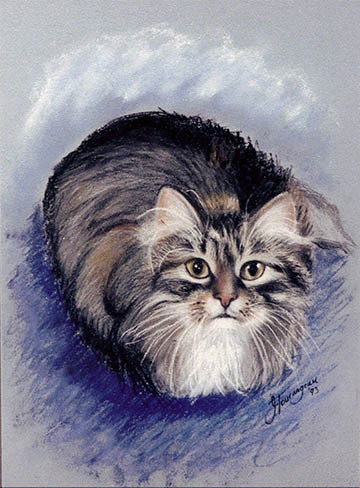 Sample can be sent upon request.